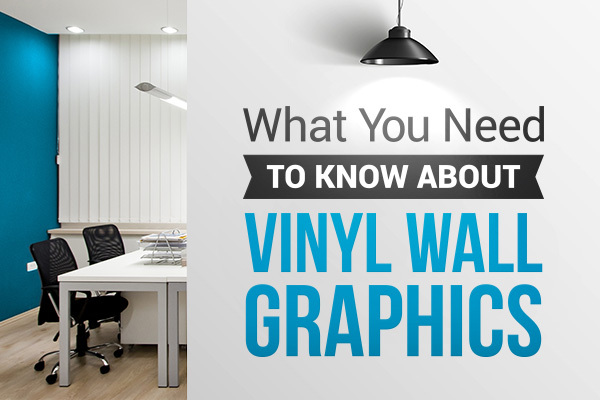 Custom vinyl wall graphics are a great way to display important information, add branding, or personalize your walls. Choose from either permanent or removable material to create a beautiful graphic or sign that will stick to a variety of surfaces. Our team works with PDF, AI, or EPS files. You can upload your vinyl graphic design in any of these files types to our customer quote form. Your art file needs to be in vector format in order to print properly. Images files such as JPGs and PNGs will not work for vinyl graphic decals. If you need help turning your design into a vector file, you can use our partner site 99 Designs. The maximum dimension of one side of your design must be 44” or less. Our printers are 44” wide so one side either the height or width or your design must be smaller than this. 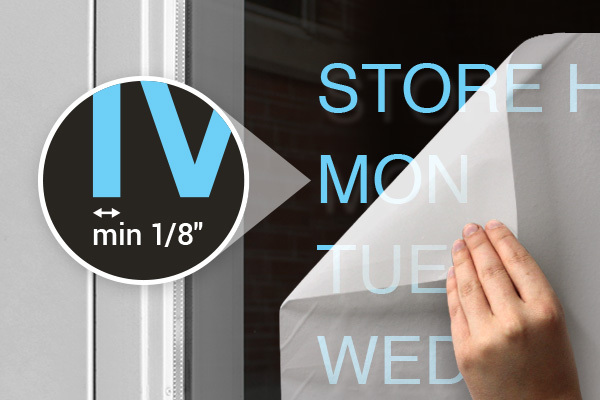 The thinnest part of your vinyl graphic decals must be at minimum 1/8th inch. Our cutting machine cannot cut detailed parts of a graphic vinyl design that are thinner than 1/8th inch. To start an order, simply fill in our custom quote form online. If you have artwork ready, please upload it to the form. One of our sales representatives will get back to you within 1-2 business days to confirm the details and provide a quote. Your design will be printed onto white vinyl decal material, then cut around the edges of your design. The unused space will be peeled up and discarded leaving only the pieces of your design intact on a waxy paper backing. A masking is then applied overtop of your design, so your vinyl graphic is protected on both the front and backside. This is how your decal will be delivered to you. To apply this decal, first make sure the surface you are applying to is clean and dry. We recommend cleaning the surface and drying with a cloth. Once the surface is clean, gently peel the waxy paper backing off, exposing the adhesive side of your vinyl graphic decal. Your design should stay stuck to the masking. Place the decal adhesive-side-down onto the surface you’re applying the decal to and smooth out with your hands. The masking should still be applied on top of your decal design. Use a credit/debit card or another thin hard edge and smooth the decal out. The best method is to begin in the middle and push outwards towards the edges of your design repeatedly. Once all the bubbles have been smoothed out, gently peel up the masking, starting at one edge and pulling slowly in the opposite direction. Your vinyl graphic decals should stay stuck in place on the surface. Graphic vinyl decals work best on any smooth hard surfaces, such as glass, plastic, finished wood surfaces, metal, plexi-glass, fiberglass, doors and painted walls. This product is not recommended for use on unfinished walls or drywall, brick or rough surfaces like cement. Vinyl graphic decals with removable adhesive are safe for use on vehicles and will not damage the paint. For vinyl graphic decals over the size of 3’ x 3’, we recommend applying the decals with the help of another person. Vinyl graphic decals are available with permanent or removable adhesive, however they are not reusable.